Aliexpress is the retail side of Alibaba, with the majority of products coming from china. Unlike Alibaba, Aliexpress does offer some buyer protection. Payments are held by Aliexpress in an Escrow type system, and only released to the seller once the products are received or a certain number of days has past. 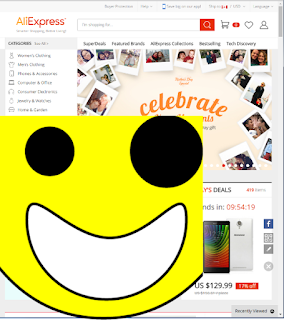 There are a lot of websites and blogs either warning you to not use Aliexpress, or praising the use of Aliexpress. Since I have never ordered anything from Aliexpress, and have not been able to discern which blogs/websites were more truthful about their experiences, I have decided to document mine here for everybody to decide for themselves. I will be documenting my interactions with Aliexpress, and the "stores" within it in a diary style. That way you will be able to follow everything as it happens chronologically. Since I will be making a rather large amount of orders so I can properly, hopefully, judge the overall experience, my purchases will be of a smaller amount per order. I have created an account with Aliexpress, and have switched over to using the iPad app which makes browsing much easier. I Woke up to an email saying that my order #1 items were being shipped, yeah. Curious to see if ordering at different times of day effect the speed, I have decided to make two orders today. It is now a race to see which of these orders is the quickest. Today was a very unproductive day for Aliexpress. I placed my order, and that is all that happened. It would appear that having my first order ship so fast was a fluke. I do not have enough data to know. Was startled at 2:30 this morning by the sound of incoming emails. It would seem that one of the items ordered on day 2 took the race to heart. The item ordered yesterday wanted in on the race too, and has jumped ahead of the first item from day 2 to take second place in the race.